Combining lightweight, high mobility and a comfy sport fit with certified protection, these pants are engineered for great road riding. Tough Charge leather with perforated cooling zones (perforated versions only) integrates with S1 elasticated fabric panels and inserts for great performance support, plus hip adjusters, calf zips and dedicated mens and womens versions for a closer fit. 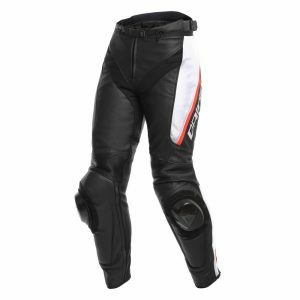 The multiple safety features include leather knee patches designed for Pista sliders and pockets for hip protectors. Let the rider decide.